My name is Devon Perry. I am mom to 3 beautiful girls (Hayden almost 8, Lauren almost 6, and Harper 3), wife to one amazing guy (Matt Perry of The Perry Group), and lover of all things real estate. After 15 years in new home sales, I’m venturing out into the “stay-at-home-mom” role. To keep my head in the RE game, I’m also going to be the self-designated Social Chair for The Perry Group! I keep telling Matt it IS a real thing. One of these days when he sees that I’m posting blogs on his business page he’ll realize I’m not going away. Over the years, one of the things that’s kept our marriage strongest (11 years and counting!) is our mutual love of real estate. While discussing counter offers, open house successes/failures, and negotiating strategies might be a big yawn fest to some, this is our favorite thing to do after the kids go to bed. It’s also what makes me understanding when Matt is up ’til all hours working, and it’s what made Matt understanding when I had to work weekends in a model home for so many years. It may not be everyone’s cup of tea, but it’s ours and we both love it. 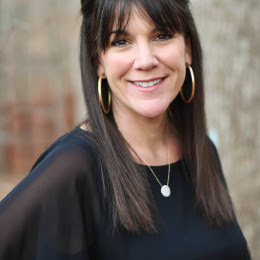 I hope you’ll enjoy reading my blog where I’ll share info on open houses, up and coming new neighborhoods in the Triangle, my favorite master-planned communities, and the occasional SAHM moment.